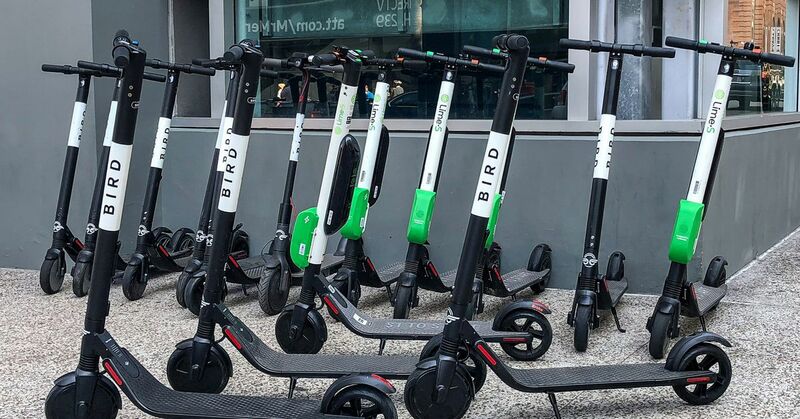 There’s the subculture of scooter “juicers,” people who gather up the devices in the evening to charge them for the next day’s riders. And then there’s the emerging subculture of scooter riders that I like to call “lazy geniuses.”In order to ride an electric scooter, you need some familiarity with the activity known as standing. It isn’t just scooters, but the proliferation of rideable electric devices of all types — e-bikes, electric skateboards — that is inspiring this mobility renaissance. Dude just cruised past me riding a lawn chair taped to an electric skateboard while vaping and blasting Jack Johnson. Some people have made trailers that can attach to the back of a Bird scooter and haul things around.